I spend a lot of time on Twitter, so, I follow a lot of people. People that I think are great. Particularly, I love following my curated feed of comic people. Not only are they hardworking and talented at their actual profession, but they’re funny, passionate, and seem to just have a drive to find and create good art. Some of these people I’ve been following for a while, some are artists I’ve found because of the other artists that I follow. If you’re on Twitter, and you love comics, I think all of these people are worth your time. This post is done as part of The Broke and Bookish Top Ten Tuesday. It’s been some time since I wrote a blog post! Partly because I have things going on in my life (I’m moving! Agh!) and partly because I’ve been in that awful I-don’t-know-what-to-write quagmire. I figured I’d use a Top Ten Tuesday from The Broke and the Bookish to get me back in the swing of things. Today: books on my summer to be read list. 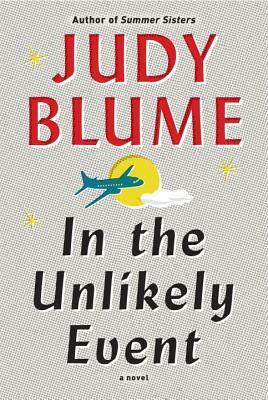 In the Unlikely Event by Judy Blume. Judy Blume has a new book! I haven’t read any of her adult books before, but I started getting into a Judy Blume kick last year and I have heard good things about this one, and also it’s Judy Blume so let’s just do it. The Way of Kings by Brandon Sanderson. I’m fully aware this has been on lists before, but I’ve actually started reading it! It’s a thousand pages, though, so it’s going to take a chunk of my summer to get through. The Bone Season by Samantha Shannon. This is one of those fantasy novels that came out a while ago that I’ve meant to read, but never have. Fairest by Marissa Meyer. A bonus book in the Lunar Chronicles series. After reading the first three back to back, I’ll need this to tide me over until Winter comes out. 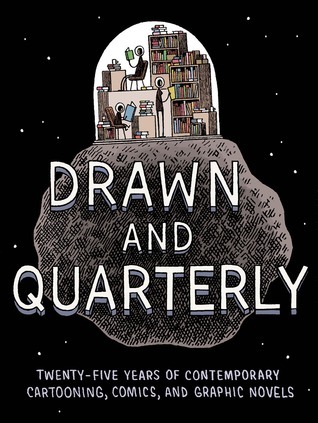 Drawn & Quarterly: Twenty-Five Years of Contemporary Cartooning, Comics, and Graphic Novels. A collection of comics and essays about comics. Margaret Atwood writes an essay about Kate Beaton! Wow. North and South by Elizabeth Gaskell. I liked Wives and Daughters. This is shorter than that, so probably good for a summer read. A Darker Shade of Magic by Victoria Schwab. I don’t know much about this except that people I know seem to like it, and the cover looks cool. The Goblin Emperor by Katherine Addison. See above. Feet of Clay by Terry Pratchett. Night Watch! What do you all plan to read? AsapSCIENCE is a fun science YouTube channel I follow, and this week they had a great video on meditation, if it works, and does it change your brain. (Yes to both.) Basically, meditation can make you more empathetic and less stressed out. I want to watch the video again, and also actually try to meditate. I’ve been linking to Kate Beaton a lot on here lately, haven’t I? Well, let’s do it again! The latest series of comics she published on her website is about Tom Longboat, a Canadian Olympic marathon runner and World War I soldier. Having recently started running and being interested in reading about it I thought this was great, plus Beaton gave me another book I want to read. Yeah I’ll be sticking to jogging not marathons I think. A writing friend posted a list of Books to Make You More Interesting. I’ve only skimmed it, but there are some cool books on there that I’d like to read, like Bad Feminist and Nabokov’s Speak, Memory, and even some that I’ve read and talked about, like Persepolis and Fun Home. Which I guess makes me already interesting? But I could be more interesting. What do you think? Did you find anything awesome this week? The latest story arc on Octopus Pie ended this week. It’s been a pretty emotional one, which I truly need to go back and reread, but I can’t get over how good Meredith Gran at conveying complex emotions with her drawings, and sometimes a little bit of dialogue. The last page of the arc is particularly wonderful, showing, I think, pretty well how someone can get better and worse as they struggle to get over something. And another comic: I read this one last week on Boumeries, but I still think about how very true to my own personal life it is. I was also very excited about this past week’s batch of cartoons on Cartoon Network. 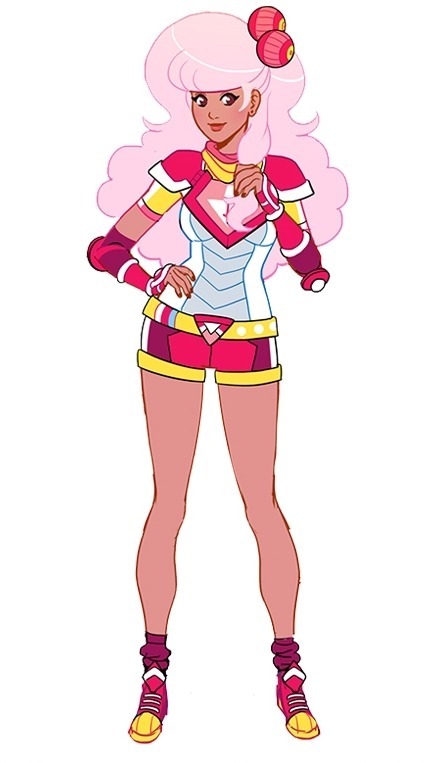 Of the three that I actively watch — Adventure Time, Steven Universe, and Regular Show — they all had interesting growths in character and plot. We got to see Princess Bubblegum try and teach herself to chill out on Adventure time, which grows from a personal revelation in another recent episode, and Regular Show tied off a story arc that took a close look at how complicated relationships can be, especially for a kid’s show. Steven Universe got me very excited, though. I’ve pointed out how much I love this show before, but a big event at the end of the episode shows how the plot is deepening, making the deceptively simple show more fantastically complicated than it already is. 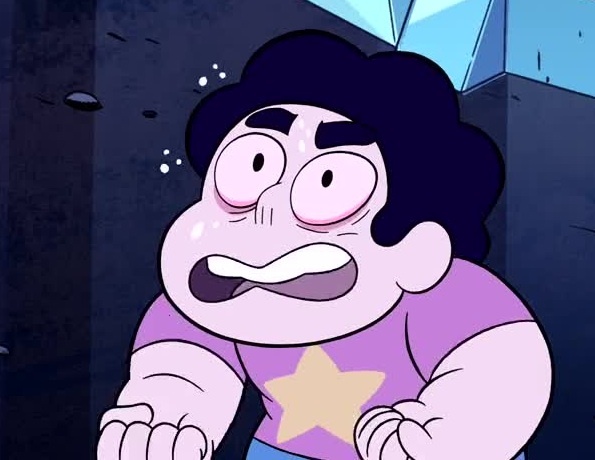 Me, waiting for the next Steven Universe episode.